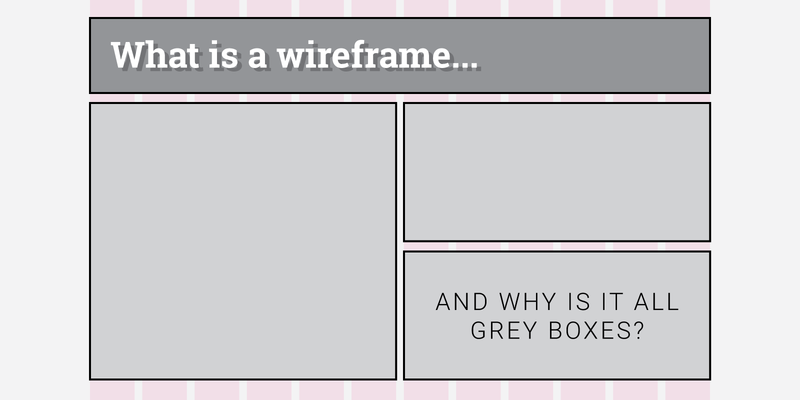 What is a wireframe and why is it all grey boxes? There have been many times, after presenting wireframes, that clients either make a statement or ask a question like, “Why is everything black and white?” or "This site doesn't look inspiring". This usually results in a roadblock in the web design or sales process, using up time to explain what wireframes are and why they are important. To help keep your ideal launch date for your web design project, here’s a brief on what wireframes are all about. Although aesthetics is an important part of design, there is much more that designers focus on. People often think that it’s all about colors and fonts, but simply applying a ray of colors and a variety of fonts will not solve your website’s issues. That’s why black-and-white or grayscaled wireframes are important. If the functionality and hierarchy of your website isn’t solid before adding colors and typefaces, then the foundation of your website will be weak and anything you place on top will cause a mess. If a person were to build a house by just “winging it,” it would waste too much time and would not be cost-effective. The same goes for a website. Building a house requires blueprints and floor plans, and building a website requires wireframes. 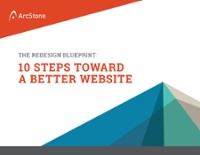 There's a lot that goes into the first phase of a website, and it can be overwhelming. If you're thinking of a website redesign, check out our checklist that helps cover the bases before you start redesign your website. Wireframes help keep the focus on the basic layout of a page, and since the aesthetics are not the main concern, it allows the ability to quickly change the placement of elements without spending the time to recreate an effect or code. A person does not need to be a master artist to do wireframes, but it is important to be thoughtful. When wireframing, they keep in mind when and where users will see each element and how it will affect their experience. This part of the web design process can be abstract for people, but it’s essential to not go straight into high fidelity mockups. Focusing too much on the “skin” of a website makes it easier to forget about how the website functions for your users. In the end, you risk providing a negative user-experience before they even spend the time to learn about your organization or complete a goal you want them to accomplish. Drop us a line to chat with us. We'd love to help you ideate, strategize, and design.